Some of the processes focused on by boat builders include the model and pattern making, cutting and trimming the complete hull, deck, and other parts of the boat. 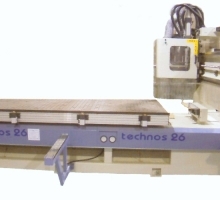 The solutions engineered in the VWM range of CNC machines have been addressed to bring a high standard in productivity, repeatability, and operator safety. CAD/CAM is one of the critical issues and VWM provide the solutions that positively affect the set-up costs, machining cycles and productivity. VWM is your complete partner, capable in developing the best configuration to bring the reality to the customer ideas. All while accomplishing the manufacturing lead-time through the final installation phase and providing training and consulting to the operators on advance functions and best practices for higher productivity. Thanks to the modular engineering principles applied, the mechanical frames can be easily modified, choosing among a wide range of options, to function to the specific requirements of the process, material used and the expected result.